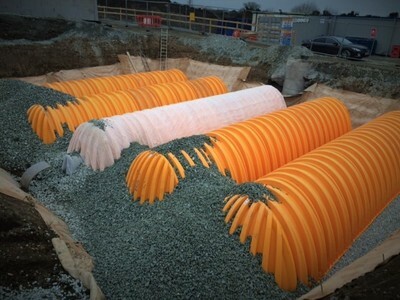 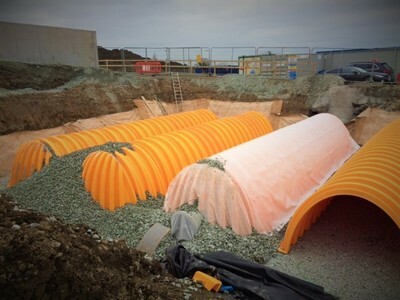 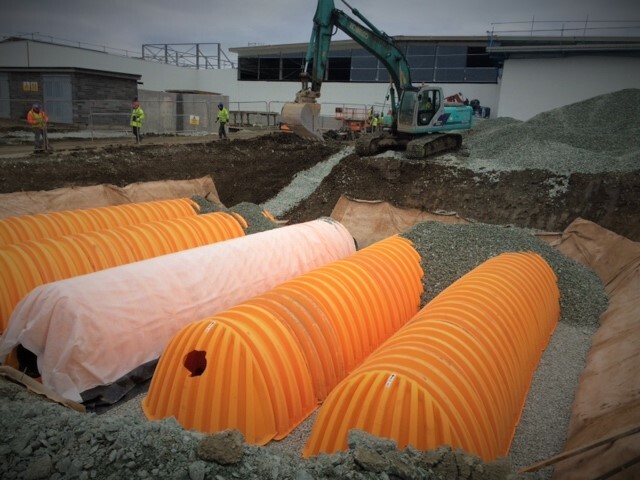 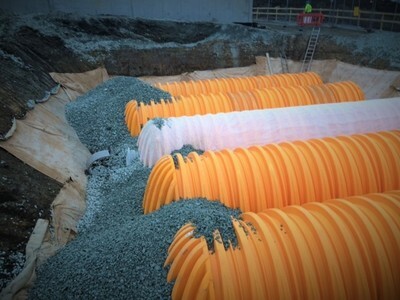 Installation of Stormwater Attenuation tank as part of a large retail unit in Swords. The drainage specification called for 350m3 of stormwater attenuation to be provided under road and car parking areas, in one tank of dimensions 14.2m x 12m. 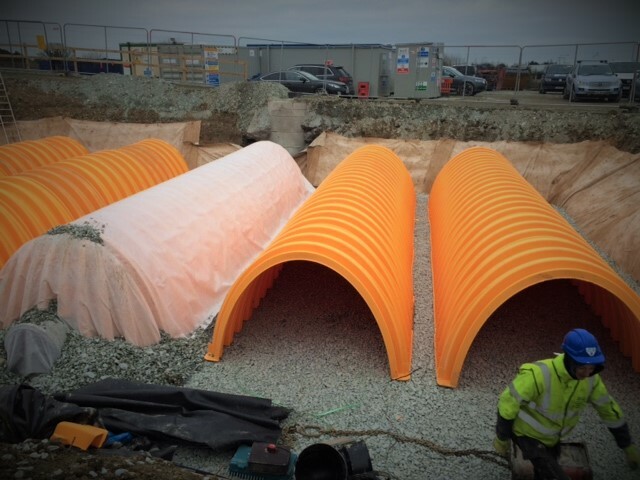 Stormtech MC4500 was selected by the contractor as the best product to meet the needs of the project, a large development containing extensive parking element on a greenfield site. Materials used had to comply with the relevant SuDs standards.